Often viewed as a constraint for producing sun loving flower gardens, shade conditions in residential gardens offer many benefits as well. In addition to providing much needed relief from the summer sun in outdoor areas, shade trees reduce summer cooling needs on homes when properly sited in southern or western locations. Deciduous shade trees also allow the winter sun through the open canopy to provide extra heat for residences in the cool season. Shade trees offer valuable food, nesting habitat, and shelter for a wide variety of birds and mammals. Unfortunately, shade areas are unsuitable for growing sun loving turfgrasses that are common to our region. St. Augustine grass is the most shade-tolerant lawngrass, but still requires at least a half day of sun to perform well. 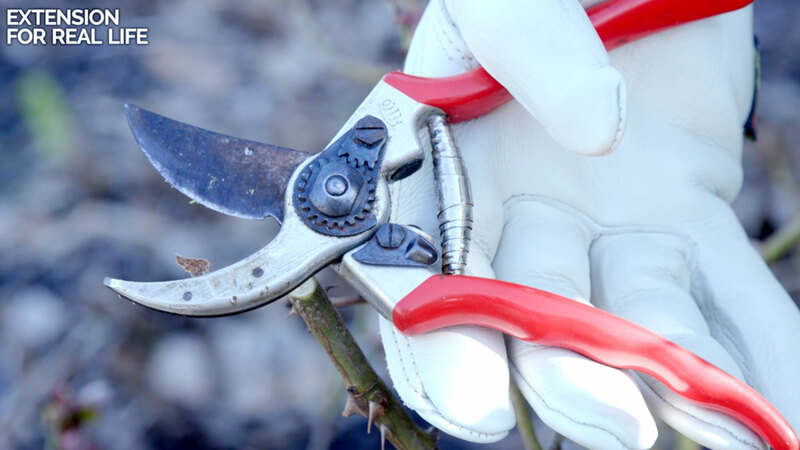 Trees may be thinned of branches to allow extra sunlight into the yard yet must be pruned on a regular basis. A more successful approach to working with shady areas is to incorporate plants that are adapted to low light conditions. There are varying degrees of shade according to the density and types of trees that are present. Full or dense shade occurs when the trees are broad-leaved, including areas containing Southern magnolia, oaks, maples, and many other hardwood types. Light shade or filtered light occurs when the trees are high branched, have an open canopy, or have fine thin leaves. Pine trees are an example of providing light shade or filtered light. Half shade or part shade occurs when an area receives full sunlight for part of the day and is shaded during the remainder. Areas adjacent houses or other structures that cast shadows for part of the day, or woodland areas adjacent open lawn spaces are examples of partially shaded locations. Selecting appropriate plants for shade areas depends upon the degree of light available. 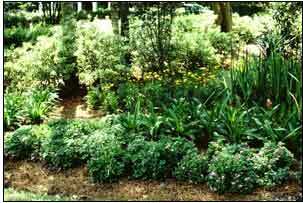 Dense shade areas require plants that are tolerant of continuous low light conditions. Light shade or half shade areas allow for a broader range of flowering plants. Even full sun loving plants can benefit from light afternoon shade, and as long as they receive six to eight hours of direct sunlight, will continue to bloom or fruit. 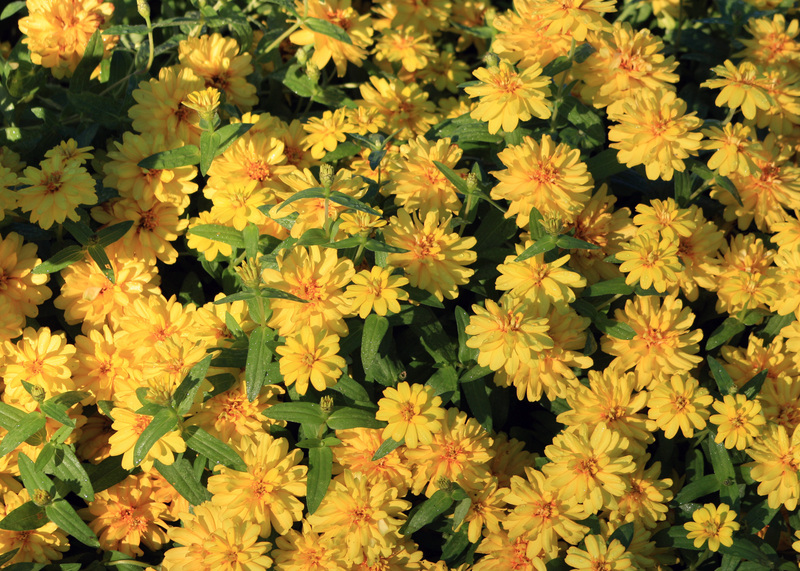 Few shade plants will provide a continuous bloom through the seasons as found with many sun loving plants. Impatiens and begonias are shade annuals that provide extended summer color, yet require frequent irrigation. Competition for moisture from the surrounding tree roots must be compensated for these moisture-requiring annuals. Drought tolerant shade annuals, perennials, and shrubs are more successful in low maintenance garden conditions. 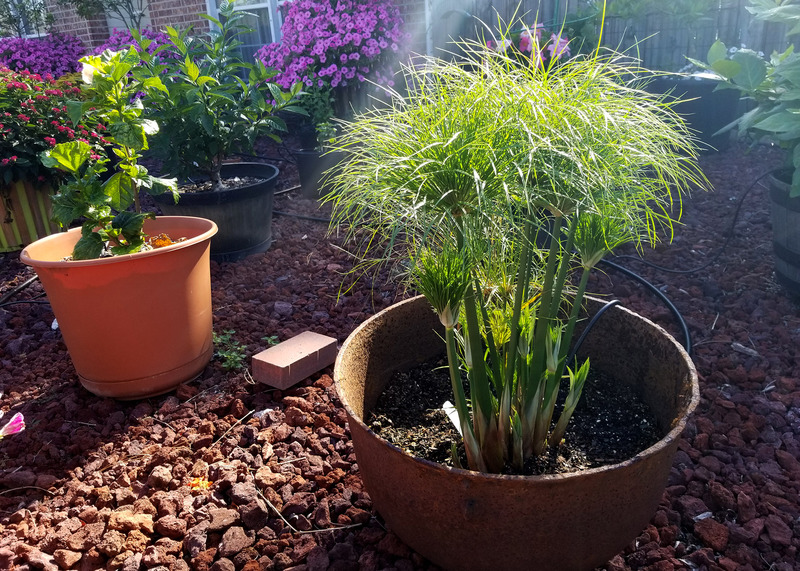 Since there are few continuously blooming shade plants, using plants that exhibit other design elements such as texture, form, and foliage color can result in outstandingly beautiful shade gardens. By creating plant combinations that contrast or compliment each other in plant shape, leaf size, and leaf texture, flowers are often unnecessary for interest. Try using plants that exhibit bold leaf colors such as ajuga, variegated hydrangea, or caladiums. Dramatic leaf sizes and textures of plants, as found in mahonia, fatshedera, fatsia, oakleaf hydrangea, and dwarf palmetto, create strong visual interest. Also, ferns, vines, groundcovers, and perennials are effective for variety and seasonal contrast. 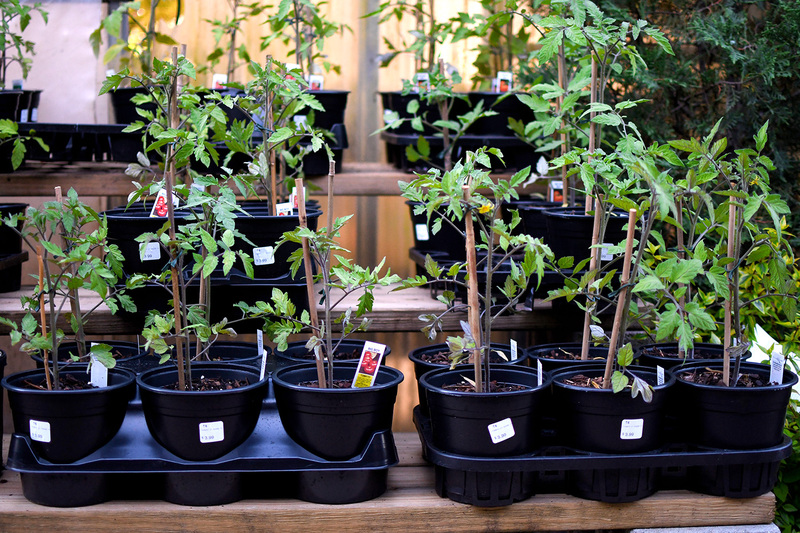 The following list contains plants that are well-suited to growing in shaded areas. 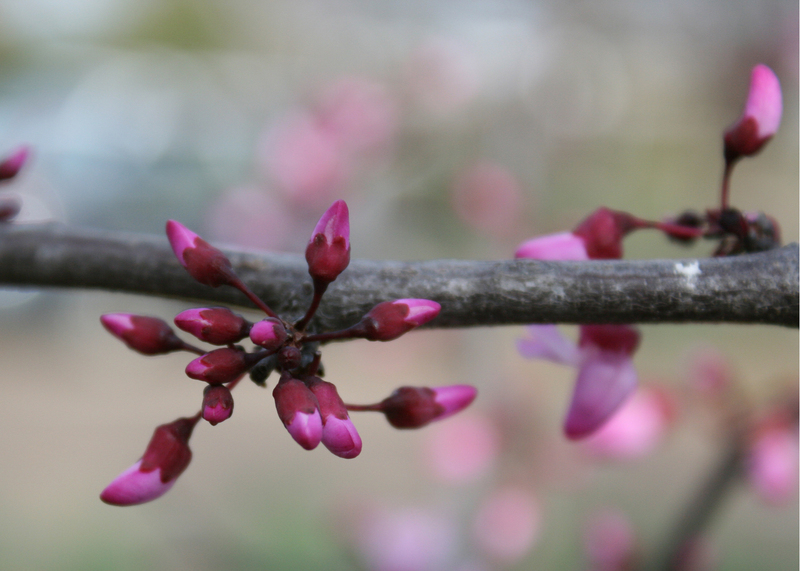 Ask your local nurseryman about their adaptability and performance in your gardening area.